Saul Marquez: Welcome back to the podcast. Saul Marquez here appreciate you tuning in again. Today I have an awesome guest for you, the highly talented Laura Arpiainen. Laura is an architect with a specialty in healthcare. She is the Inaugural Professor of Health and Wellbeing Architecture at Aalto University in Helsinki which is a new cross disciplinary university combining science, arts, and business. Laura has extensive experience in both designing and operationalizing healthcare in Canada where she lived for almost twenty five years in the beautiful coastal city of Vancouver. Her specific areas of interest lie in diversity, patient, and human centered design as well as understanding the connection between the built environment and health. I had the pleasure of meeting Laura at the TED med meeting a couple months ago and really was inspired by the conversation we had during one of the breaks. And I said Laura you’ve got to come on. So I really appreciate you making time for us Laura, thanks for being on the podcast. Laura Arpiainen: Oh well thanks for having me. It’s a pleasure. Saul Marquez: So Laura did I miss anything in your intro that you want to tell the listeners about? Saul Marquez: I think that’s why we got along. I think that’s why we got along. So Laura the yoga piece is cool. You know I am… I’ve been thinking about doing it at least once a week just to help with stretching because I lift and I just feel like it would be a good practice. Laura Arpiainen: Oh it would be a good practice. You’re right. Saul Marquez: Wow I may have to get some tips from you after this so appreciate you sharing that. So why did you decide to get into healthcare Laura? Saul Marquez: Talk to us about some of that and maybe maybe you could share along the lines of a topic about architecture and healthcare something that meet that leaders need to be thinking about today. Laura Arpiainen: Right. So yeah they are very complex buildings and we as users or as patients we only see one side of the healthcare facility. But I do think that having B instead of at the table designing them, my main sort of pitch is that we do need to focus more on patient centered care because the buildings they are… they become like these amazing machines of technology if you wish because we all know that when healthcare, acute care at its best it normally involves quite a bit of technology. So the technology can just start to take over. So I do believe that the patient centered care needs to be better understood and I think that patients voices should be fully included in all decision making processes that affect the delivery of healthcare. So that’s a… it’s a tall order. But I think that would really make the facilities even better. Saul Marquez: So I think that’s a great step and today you know with mergers and acquisitions happening all over the place in the US people have to think and rethink what they do with their buildings. You know a lot of hospitals are just offloading buildings, redesigning others, so as leaders listening to this today you guys and gals think about what you’re doing with these buildings. Think about incorporating the patient into one of these committees. I mean how do you do that Laura? I mean how do you get a patient involved and how do you get their feedback and then what would you say some of the best practices for that are. Laura Arpiainen: Well that’s such a great question. I think user representatives and patient and the family representatives are essential in the ways to involve them is sometimes larger hospitals may have sort of little task forces or groups that meet then they have patient representation they’ll be quite progressive. I think definitely you should have some level of integrated facility design workshops and you should really include patient representation in those workshops. But I would go even even further I think that every steering committee should have patient representation. It’s not just a one off but that’s if nothing else. Please invite them into design workshops and open houses and give them a voice and find a way to channel that voice. And I will also really really want to highlight that the patient representatives when they come into the room they’re often the only ones who don’t get paid because the staff people are there and they are sort of there through their work and the ideas are there through their work so maybe even if you really really want to make it the sort of rolls royce of participation maybe provide an honorarium because some of those people you know might not be able to take time off work and come otherwise. So yeah those are some ideas. Saul Marquez: I think that’s great. You know and that’s definitely a great idea. And large projects like these, give an honorarium and you’ll be surprised at the level of interest and time invested that we say we you know because we’re all going to be patients if we’re not already on our yearly checkups, right that we could provide. So great idea Laura, I think it’s it’s a great call out. Give us an example of I know it’s early on with this new college that you’re involved with but give us an example of how you plan to create results by doing things differently. Laura Arpiainen: Well for starters when I ran my design studio the students need to take part in a simulated stakeholder workshop exercise and they play roles that some people play the doctors and some people play the janitors and some people play the patient and some people play the mechanical engineers and stuff and they they sort of need to role play this to understand that very large group of people who should be considered stakeholders in medical facilities and then they need to also take into account what comes up in these simulated workshops in whatever they design. I just cannot in good conscience train architects who would not talk to their users. So that’s one thing that we’re doing. Saul Marquez: Love it. So you’re practicing what you preach here. Laura Arpiainen: I sure hope so yeah. I try to with everything I do. Saul Marquez: I think it’s great. And as you think about the things that surround you next time you’re in a clinic or a hospital maybe there’s some things that you don’t know about. So Laura I’d love to just get from you some of the elements that are being incorporated and maybe their reasoning for those elements. Laura Arpiainen: Well there’s a lot of technology that goes into the buildings that we don’t normally see, there’s air purification systems. You might have high efficiency particle arrest or filters which we call HEPA filters and these are things that get put in because we know that people who come into medical facilities may have compromised immune systems because they’re already unwell when they come. So we should make hospitals healthier buildings than buildings that are not hospitals and a lot of effort goes into that that you don’t necessarily see and that’s the sort of science that’s behind this is called infection prevention or infection control. So there’s a lot of infection control measures that are incorporated into the design which you might not see but they are there. It comes to selection of materials and systems of ventilation and also ways of operating a hospital. So there’s many things that are there but you might not know that they’re there. Saul Marquez: Yeah. That’s a really great call out and about things like paintings or plants or where a window is placed like that kind of stuff I’m really curious about that. Laura Arpiainen: That you might need to really have good housekeeping to keep the painting clear so visual art can be incorporated in many ways and maybe the sort of the most old fashioned way the conservative way is to hang an oil painting on the wall is not really what you see in hospitals for mentioned reasons. Plants are tricky because you can’t get mold in the soil so you often don’t see plants. But then again you do have green walls that can clean the air so deep in the gum the growing medium you might be able to incorporate some bad infection prevention is a pretty restrictive requirement. So plants are rare certainly in the more intense procedural area some hospitals for sure. Saul Marquez: Of course yeah. Laura Arpiainen: Windows, open up a windows would be great but depending on where you are. It’s not always a good idea because the air quality outside might be worse than inside. But access to daylight and access to views is essential and we try to provide that always whenever we can. From patient rooms and other areas as well because it’s completely a no brainer that it’s that it’s psychologically soothing and it is in the process of healing. Saul Marquez: I love it. Some of the things that you don’t think about and the impact that it could have, gotta be thinking about these things. And so Laura talked to us about a time when you were designing something or working with a group designing something and things didn’t work out so well you had a setback and what you learned from that setback. Laura Arpiainen: Oh yeah that happens a lot. That happens a lot. But that’s it’s part of the business. Well once we designed an intensive care unit I was following on the Internet. Laura Arpiainen: Yeah in Canada, that’s Helsinki. Laura Arpiainen: And actually it was a renovation so we actually put it into an existing building and I put a skylight into it. So this goes back to my my just aforementioned detail about daylight. So this was sort of fairly deep a wing so there was no daylight in the middle which is where all the staff was. Saul Marquez: It look like flames. Laura Arpiainen: And I could reconcile this I felt like I really failed as a designer because we hadn’t been able to communicate how this smooth you know the white light would be sort of soft and gentle and I just felt that we really didn’t. We were not able to communicate the architectural intent as clearly as we want. And then we were upset as designers that the users had gone and taken possession of that and made it their own. Saul Marquez: And set it on fire. Laura Arpiainen: Yeah but this is a bad thing. Like it’s not okay for an architect to assume ownership of the facility and so we I really have to check my ego on that so I learned a lot. I learned all I learned about communicating, I learned about the ownership of the design, and the ownership of the facility, and who really sits there every day. It’s not me, it’s the staff and yeah I had to learn to let go. So it was a very good learning experience. And you know what, It’s a good ICU it so it’s everything’s fine. But it was just a intense moment. Saul Marquez: Yeah. Yeah. You’re in the moment. You do all this work. They change it. It’s for them. Laura Arpiainen: Yeah yeah exactly. And you know it’s it’s really their, their ownership now is in the ceiling. Saul Marquez: So Laura I love this example because it could apply to a lot of different processes technologies programs listeners. You’re thinking maybe about something that you spent so much time effort, sweat, hours, and then you go you implement it and then the user wants to do something different. So number one they’re using it. So that’s great. And if they want to change it they’re the ones using it. So put your ego aside and know that you’re doing this for the user not for yourself. And I think Laura this is a great great story that you shared and a great lesson as well. Laura Arpiainen: I remember it always. Saul Marquez: You’re a good teacher Laura. Saul Marquez: So what would you say today is one of the proudest leadership experiences you’ve had in healthcare architecture? Laura Arpiainen: Then they come together in a way that is aesthetically and design wise a good solution. So I always love that. And it’s a long time coming but when it happens it’s always a good feeling. And I think that is when the whole becomes more than the sum of its parts that’s what happens when it all falls into place. It’s a very complex process but then the reward is also it’s sort of on a different level when it clicks. Yeah. Saul Marquez: I love that. Now that’s that’s beautiful and yeah there are a lot of stakeholders there’s a lot of people involved in these projects that delays the the workflow interruptions. I mean yeah there’s there’s definitely a lot that goes in and whenever it’s done man I walk into some of these hospitals and I’m just like “wow really nice.” And I walk into some others and I’m like “ooh” so it doesn’t always work out well. So when they work out well it’s good. Laura Arpiainen: We’re proud about that. Saul Marquez: So congratulations to you and congratulations to the university for having that forward thinking mind of leaders there that selected you. What would you say is an exciting focus that you have now that you’re your professor there. Saul Marquez: Well that’s super exciting and definitely something that is is on the minds of a lot of a lot of folks today both as as caregivers and as leaders so great project. And folks if you’re wondering how you could get in touch with Laura maybe you have a project you’re working on or something like that. We’ll definitely be sharing the best way to get in touch with Laura here at the end of the podcast. So don’t go anywhere. Before we do that though we’ve got a course for you we’re going to design a syllabus on the ABC’s of Health and Well-being Architecture with Laura. So it’s a lightning round followed by a book recommendation. You ready Laura? Saul Marquez: All right. Let’s do it. What’s the best way to improve health outcomes? Laura Arpiainen: I think we should consider people as a whole person because we see so many multiple diagnoses that it gets very fragmented. So I think people should be considered as full entities of multiple sides. Laura Arpiainen: Treating symptoms and not the cause. Laura Arpiainen: The only thing that’s constant in healthcare is change. So we exist because of change we want to be aware of constantly looking at how we can do things better. Saul Marquez: What’s the one area of focus that drives everything in your group? Laura Arpiainen: Well the one of the slogans of Aalto University is that we’re here to change the world. And that’s what we are. Laura Arpiainen: And now we do. We’re here to change the world. Saul Marquez: Love it. Laura what would you say your number one success habit is? Laura Arpiainen: I set goals. I direct my intention so that it serves my goals. Saul Marquez: Love that it’s powerful. What book would you recommend to the listeners? Laura Arpiainen: Well my book is a very probably an unusual one. I would like recommend a book called Savitri and it’s written by an Indian scholar and spiritual philosopher called Sri Aurobindo and it’s a book of poetry it’s a book of stunning beauty. It tells a love story from the Mahabharata between a princess. Her name was Savitri and her spouse such a man and how they basically they conquered death. But that’s sort of an important part of this story. But it’s a stunning book of 700 and some pages. But I love it. It’s the book that you can open at any spot and there’s always something right for you when you open it. Saul Marquez: Huh. That’s beautiful. Savitri and so is it a compilation of poems or is it a story, a poetic story? Laura Arpiainen: Could last for 700 pages but don’t be fooled, it’s beautiful. Saul Marquez: I love it. What a great recommendation. Laura Arpiainen: Something new. Something unusual I think. Saul Marquez: You are the exception Laura. I love that about you. Saul Marquez: It’s good. Now I appreciate that recommendation. And folks you could get all of the things that we’ve discussed the mini syllabus, the show notes, a full transcript of our discussion. Just go to outcomesrocket.health and in the search bar type in Laura or type in Aalto University Architecture. You’ll find all of the show notes there. So please go ahead and do that if you want to dive further into this. This has been a blast Laura, I love if you could just leave us with the closing thought and then the best place where the listeners could get in touch with or follow your work. Laura Arpiainen: Well I wanted to just follow up on my book recommendation I just wanted to read you a tiny little paragraph. Laura Arpiainen: I love that especially the last sentence where they talk about the joy of life on his open face. I think that’s how we should all live and exist and I just think that for me is the health of well-being in one paragraph. Saul Marquez: I think it’s beautiful. Saul Marquez: And I appreciate you sharing that. Definitely fun and also energizing. Laura what would you say the best place for the listeners to get in touch with if they want to hear more poetry or if they want to chat architecture with you. Laura Arpiainen: Oh they can always e-mail me. It’s laura.arpianinen@aalto.fi for Finland. So it’s laura.arpianinen@aalto.fi. Saul Marquez: Outstanding. Folks reach out to Laura. She is really somebody that you would love to connect with. And Laura, appreciate you spending time with us today. Really really glad you made the time to do it. Laura Arpiainen: Oh the pleasure is mine. Thank you so much Saul. 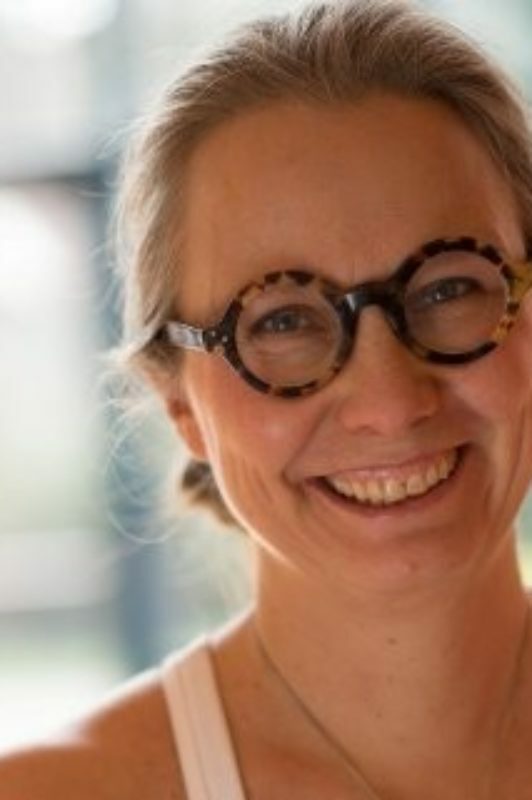 The above audio transcript of “Architecture Design that Improves Outcomes with Laura Arpiainen, Professor, Aalto University” was transcribed by the best audio transcription service called Sonix. If you have to convert audio to text in 2019, then you should try Sonix. Transcribing audio files is painful. Sonix makes it fast, easy, and affordable. I love using Sonix to transcribe my audio files.